Now that the Saviors are definitely coming to finish the Alexandrians off, are Maggie and the Hilltop prepared to defend themselves? Or will this be the major tactical blunder that costs the Saviors control over the region? Last Sunday’s episode of The Walking Dead saw what may be the beginning of the end for the Saviors as we know them. 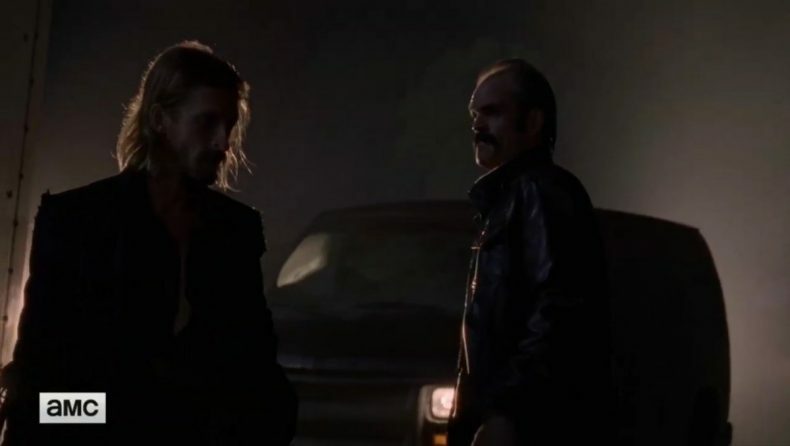 While they were on their way to deliver some biological warfare to the Hilltop, Negan was driven out of the lineup (quite literally) by a furious Rick who’d had quite enough of him. This time Rick held the upper hand for most of the fight. The end result was Negan waking up in a car with a gun held to his face — and Jadis’s finger on the trigger. Evidently the Hilltop knew the Saviors were coming. Daryl takes a preemptive strike here, and as the first enemy vehicle enters the area, Maggie shouts “NOW!” followed by…..
…..we’ll have to wait until Sunday to see what. The next episode of The Walking Dead airs this weekend at 9 on AMC.